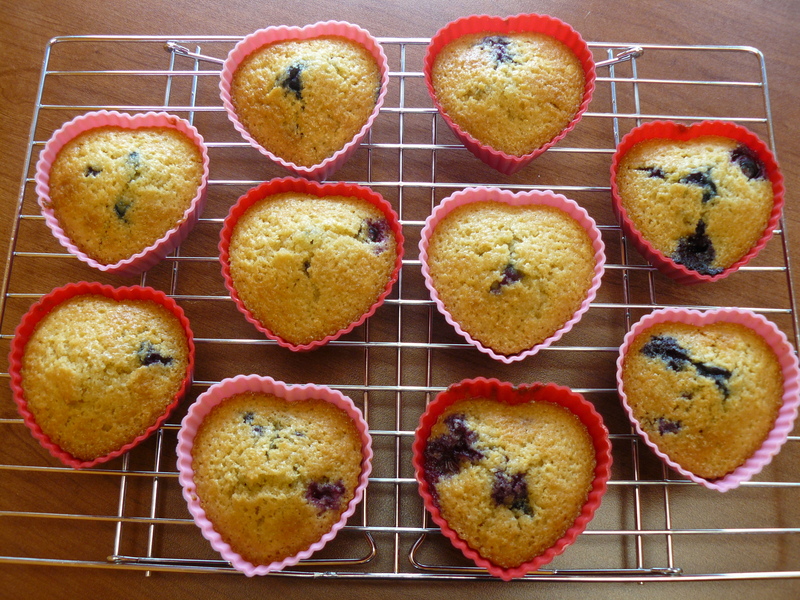 Then again, some people think they don’t like muffins. But those people (whoever they are!) 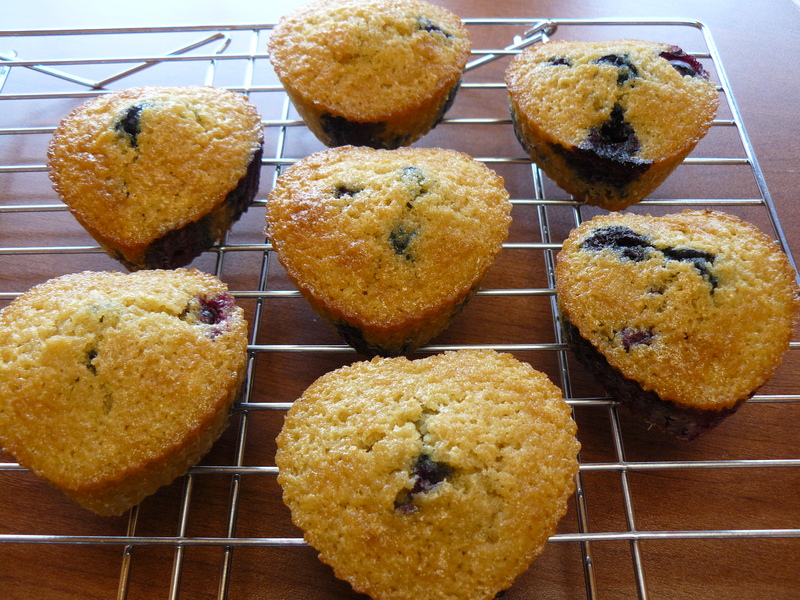 really should try these, because if you like cornbread and you like blueberries, well, what’s not to like? They’re sweet little corn cakes with fresh blueberries baked inside, all sorts of golden on top, perfect for breakfast or snickity-snackin’! Yeah, you want one right now. I completely understand, so sit down in that chair right there, let me show you how it’s done (fire on the mountain, run, boys, run!). If you had any idea how many versions of that song I had to click through to find the correct version (NOT the “son-of-a-gun” one!). 😉 HA HA! Cream butter and sugars. Add egg and vanilla; mix well. Add milk and orange juice. Combine dry ingredients; add to creamed mixture, stir till moistened. Now stir in half to three quarters of the blueberries. 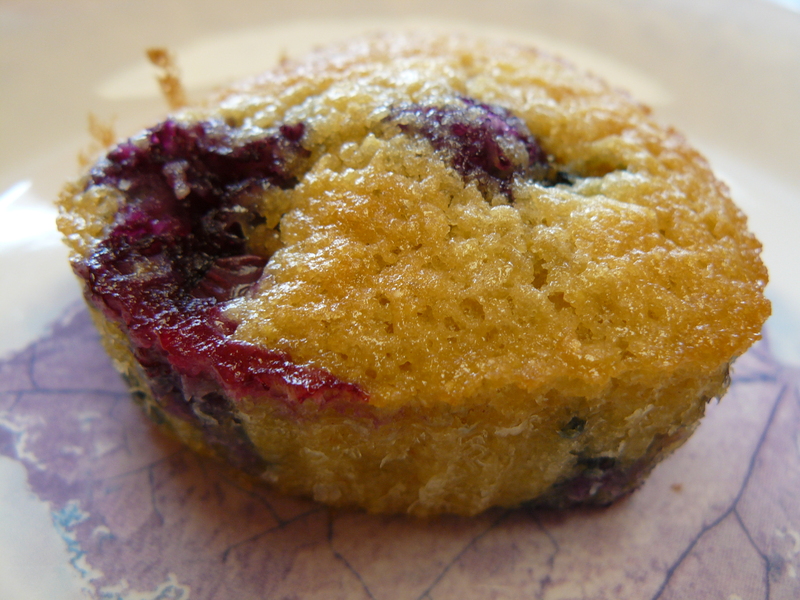 Save a handful to sprinkle over the top of each muffin—the rest of the blues will sink to the bottom. 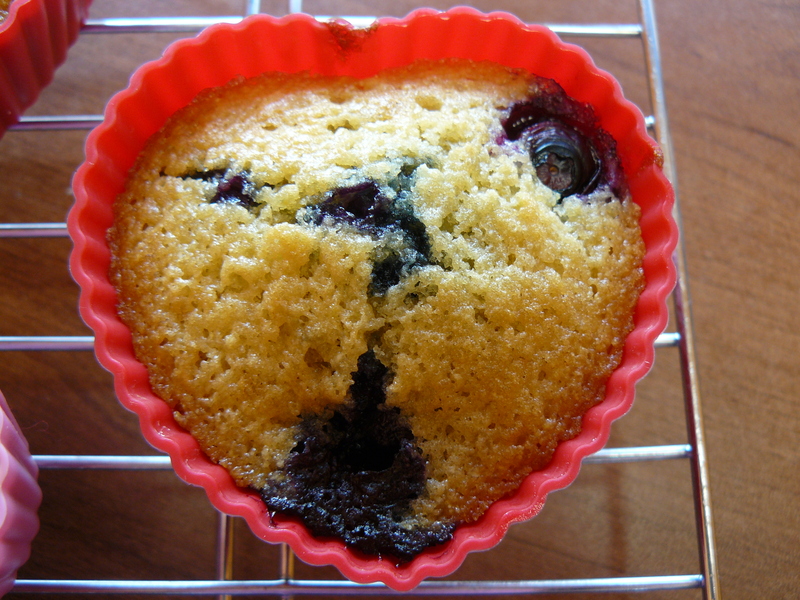 As usual, I love my Wilton silicone baking cups for making muffins, or any single-sized serving of something. Either brush them with melted butter, or use softened butter to coat them, then spoon the batter JUST UNDER the fill line. When you sprinkle the extra blueberries, you should hit the fill line. Makes 9-10 delicious muffins. Best that’s ever been? I dunno–maybe so. You tell me! 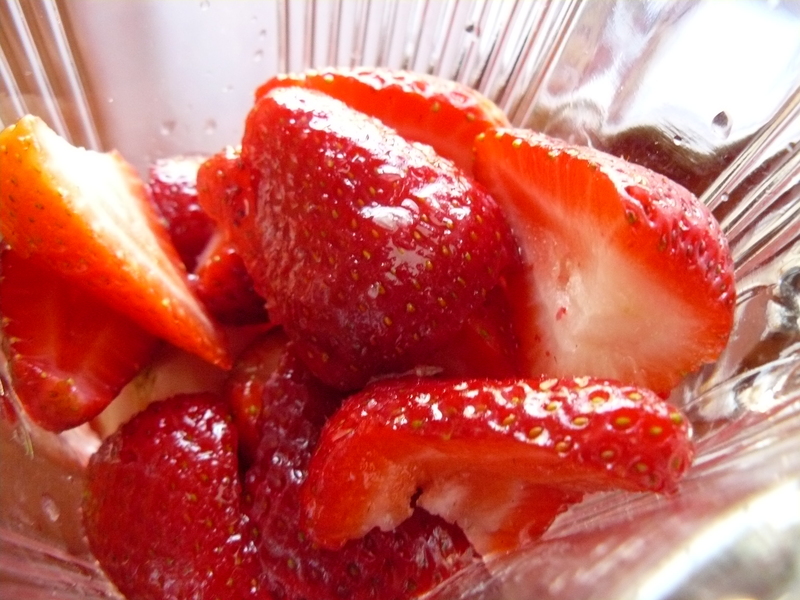 Native strawberries will be ripe for the pickin’ just around the corner here in the Land of Steady Habits. 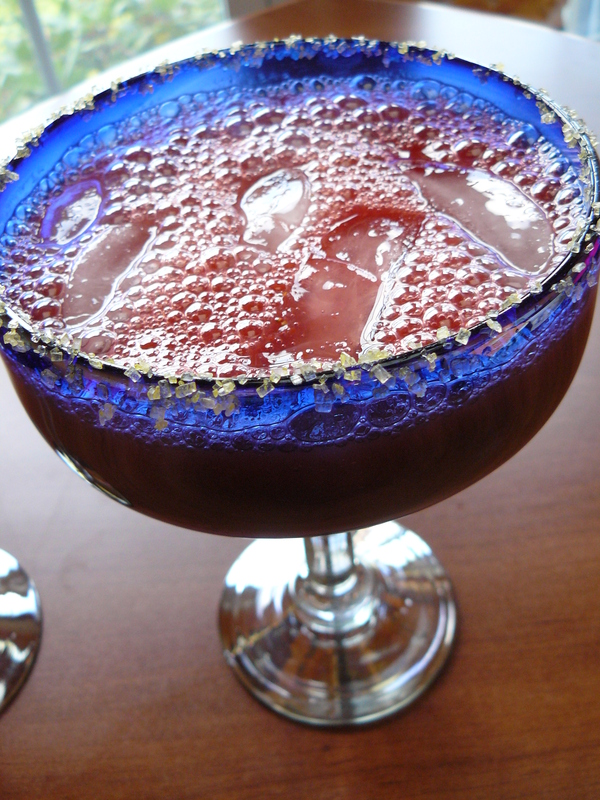 Gotta make sure our recipe’s right for soon-to-be summer sippin’, strawberry margarita-style! You can make “normal” simple syrup by boiling equal parts sugar and water, but rhubarb’s in season, and I wanted to get that in on the cocktail party. So why be normal? First, let’s make the rhubarb syrup! 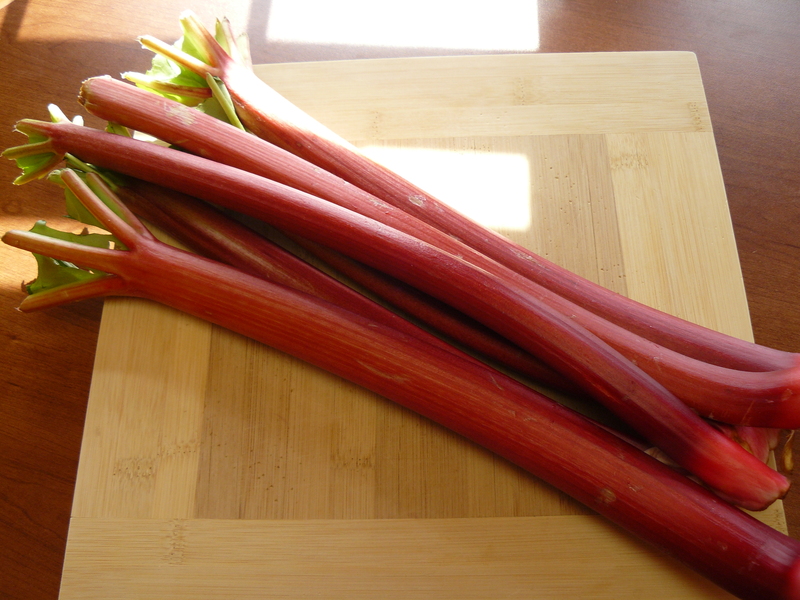 Wash the rhubarb; remove and throw away any leaves. Chop stalks into small 1/2 pieces. 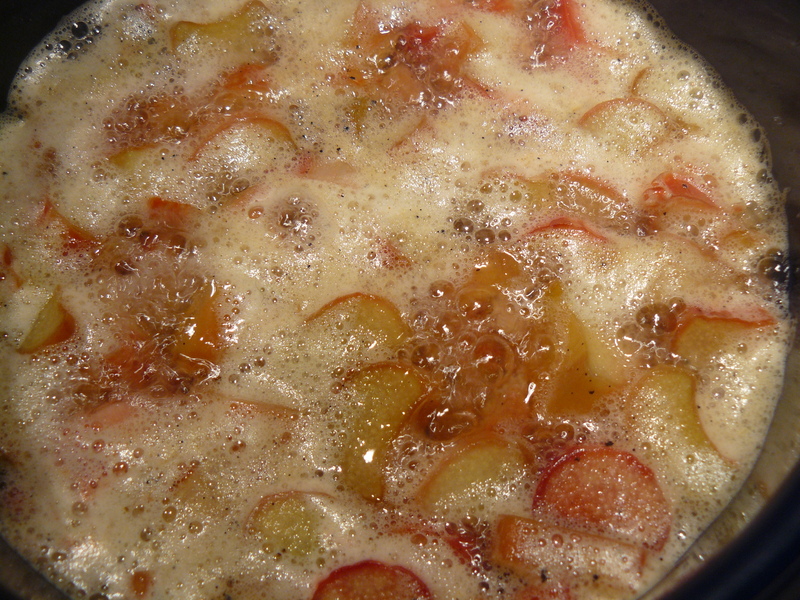 To a medium saucepan, add rhubarb, water, sugar, lemon juice, cardamom and vanilla bean. Stir to dissolve the sugar, then bring to a boil. Reduce to simmer for 20 minutes. Stir just every so often. Remove from burner; let cool for 20 minutes. Strain and gently press through a fine mesh strainer. Pour the syrup into a glass container; store in the fridge. 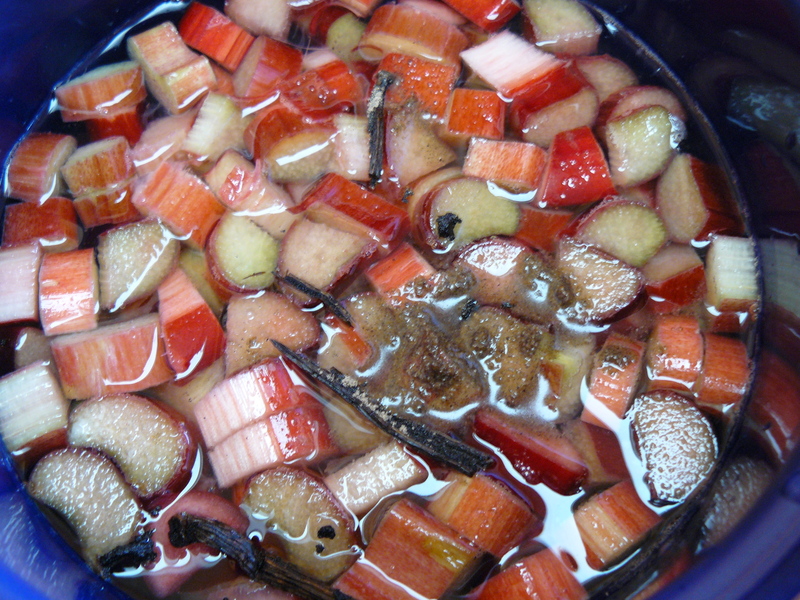 It will keep for a week, and you’ll have plenty, so try it with seltzer as rhubarb soda or make a rhubarb Collins: 2 oz. gin, 1 oz. rhubarb syrup, squeeze of fresh lime, shake-a-shake-a, then top with seltzer…or maybe make a rhubarb bellini if you’re feelin’ fancy! One more for my friend Jay who rolls on the sweet side of the street and does NOT like gin: the rhubarb Julius! 2 oz. Stoli Vanil, 2 oz. 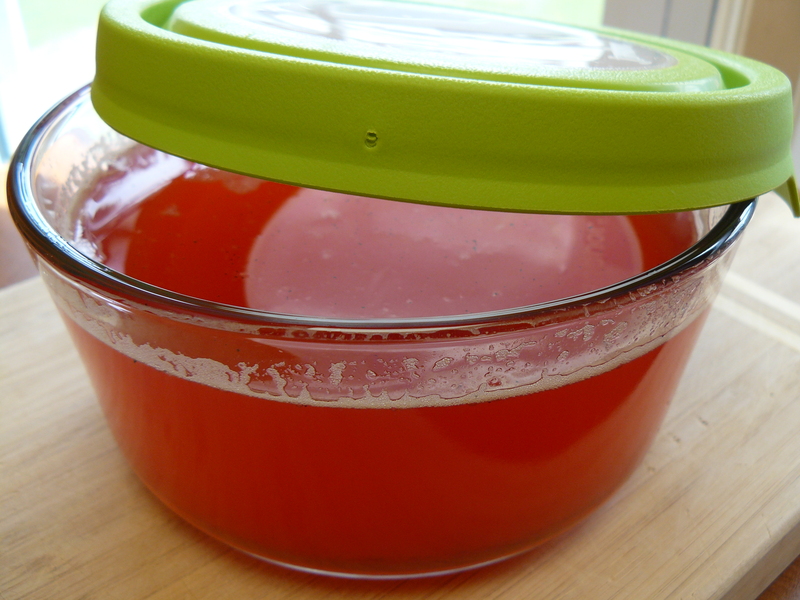 rhubarb syrup, squeeze of fresh lime, shake and top with seltzer. You can eat the leftover rhubarb (pick the vanilla bean out, of course)–it’s a bit like tart applesauce. But, hey, let’s not forget the main reason we’re here: it’s time to go for a spin in the blender to Margaritaville. Fasten yer seatbelts! *I used Agavero, tho’ I’m also a big Patron Citronge fan–both are delish. Citronge is slightly stronger by way of proof (64 proof vs. 80 proof). Ready? Go! See the ingredients above? Place them all in a blender. Blend! 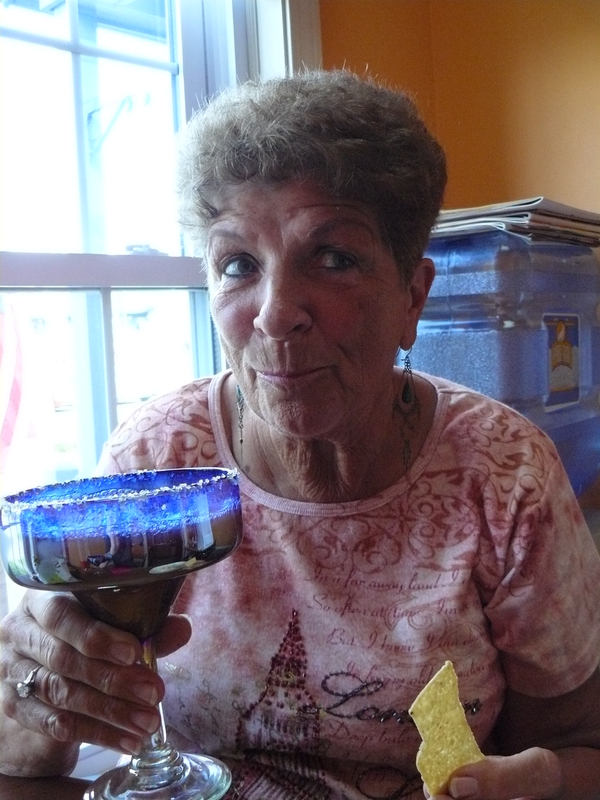 Like magic, margaritas are made. I don’t know if it’s my new blender, or just the texture of fresh strawbs blended with rhubarb syrup, but these are exceptionally SMOOTH and DELICIOUS! Serve in sugar-rimmed glasses filled with ice. 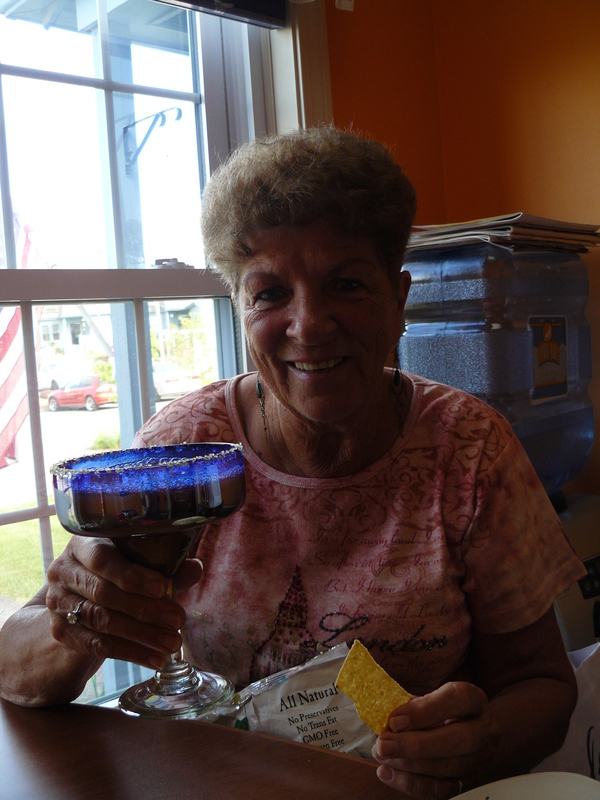 Happy Mother’s Day to my mom–CENT’ANNI to Janey!